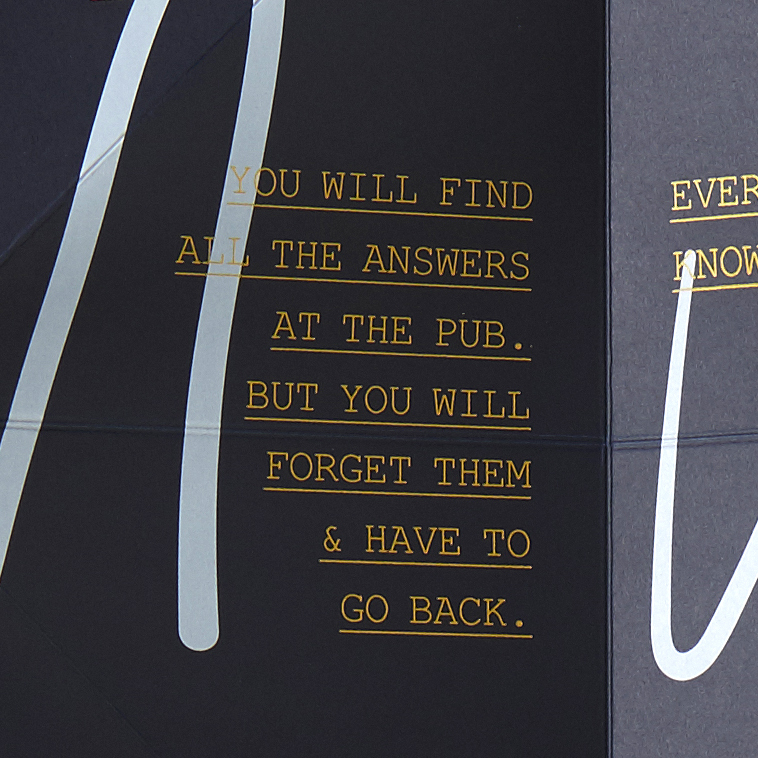 Working with our friends at Studio Akin, we wrote the words for this fortune teller for B&F Papers. It's a direct mail piece that went out to the design and print industry, showcasing new paper stocks and more than a few in-jokes. First layer: Pick your weapon. Beer, Power Point, A Pencil, or The Internet. Second layer: Pick a goal. Fortune, Respect, A Day Off, or Romance. Third layer: Pick an excuse: The Budget, The Client, The Intern, YouTube.